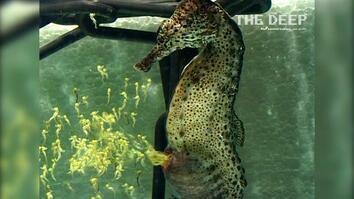 The rare West African seahorse has been filmed in the wild for possibly the first time. Researchers hope to learn more about the species and help create a more sustainable trade in the animal. 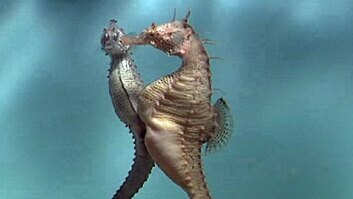 It's estimated that around 150 million seahorses are sold annually for traditional medicine worldwide. 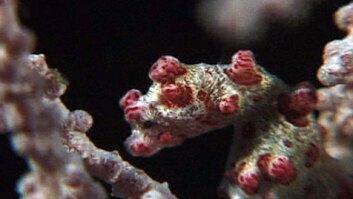 For possibly the first time, video of the little-known West African seahorse, has been captured in the wild. Zoological Society of London researcher Katie West recorded the video while travelling with local fisherman off the coast of Senegal. SOUNDBITE: Katie West, Researcher: "We've seen the first live seahorse, and it's about this big... and it's really difficult to film." Researchers are concerned for the species because within the last 20 years or so, the seahorses have been increasingly harvested and exported for use in traditional Chinese medicine. An estimated 600,000 are sold each year. The bright reddish-brown seahorse is one of two native species exported around the world, and since 2002 it has been on the IUCN Red List of Threatened Species.